• PLOT SUMMARY: Written by Joey Cavalieri. Art by Val Semeiks & Livesay. Run for cover! 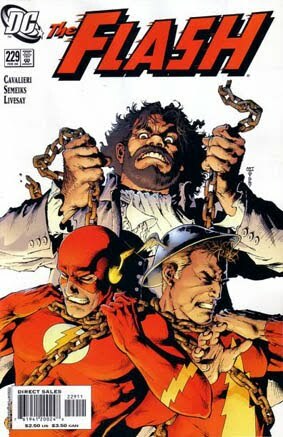 Part 3 of the explosive story 'Finish Line' brings the Fastest Man Alive face-to-face with one of the deadliest mortal enemies for all generations of the Flash: the immortal killer Vandal Savage!